Get what you need for a lot less and often just in time! Call today to check inventory! Electronic Supply Chain Solutions offers ProTek Devices custom tape samples with a -TS destination. Why buy a 3000 piece reel when ESCS can sell you -TS samples of just what you need. ESCS will not be undersold when it comes to our cut tape offering. "TVS Solutions for a World of Applications." ProTek Devices provides application-specific protection solutions for electronic equipment systems with a broad product line of transient voltage protection products ranging from board-level surface mount arrays to space-saving flip chip technology. Electronic Supply Chain Solutions specializes in circuit protection, is franchised for ProTek Devices, and headquartered in the lightning capital of the world, Clearwater Florida. ESCS stocks & distributes products to protect circuits and interfaces vulnerable to the effects of ESD, EFT & NEMP. ProTek manufactures devices for many types of electronic systems such as wireless base stations, automotive systems, industrial, commercial and military applications all of which are highly susceptible to surges. Today’s IC manufacturing real-estate along with current levels has decreased in many handheld and USB devices. ESD damage can occur due to high current levels or excessive voltage, resulting in gate oxide punch-through, junction failures, or melting of metalized traces. This decrease in size has made it difficult to provide adequate on-chip ESD protection making the need for ProTek-tion Devices even more important. Why consult ESCS for the right product? We are a small business that created our unique ESCS A2Z Fast-Trac for ProTek which guides you to the correct solution by both market sector and application. This productivity tool pinpoints the best available offering to meet your unique needs. Get your team on the A2Z Fast-Trac from design to delivery. Want a no charge FREE copy of the ESCS A2Z Fast-Trac? Need to know why engineers are looking for TVS diodes that can handle large surges currents, functional integration and provides miniaturization? Looking for samples? ESCS offers the lowest prices of Broken Factory Reels? Need a prototype? The solution is ESCS the protection specialists. Contact ESCS at 727-723-8255 email Protek@ElectronicSupplyChainSolutions.com today! ESCS is the leading supplier of ProTek Devices 60KS200C used in shipboard applications and usually has them in stock. Please browse our ProTek Devices product offerings below. Select one or more search parameters below and click the "Search Parameters" button. SELECT THE CORRECT PART NUMBER AND CONTACT ESCS TO CHECK AVAILABILITY OR PLACE AN ORDER! 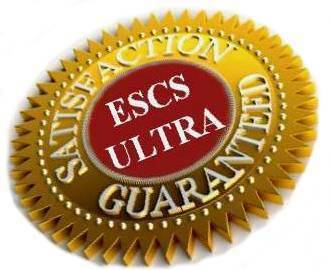 ESCS ULTRA Satisfaction Guaranteed -look for the seal and then you'll know.